For all his accomplishments in music, his compositions have become modern standards, beloved by musicians all over the world. 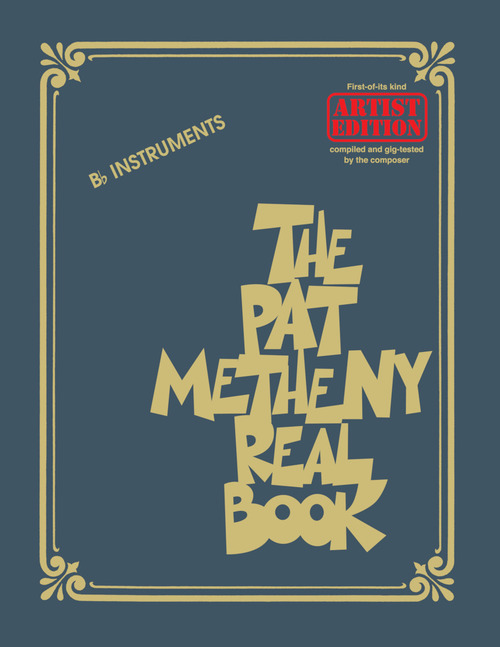 With this volume, Metheny has selected 147 of his most played tunes to create a new type of Real Book, approved and gig-tested by the composer himself! This edition is arranged for all B-flat instruments. Titles include: April Joy • Better Days Ahead • Bright Size Life • Farmer's Trust • (Go) Get It • H & H • Have You Heard • Jaco • James • Lakes • Last Train Home • Midwestern Nights Dream • Phase Dance • Question & Answer • The Red One • So May It Secretly Begin • Sueno Con Mexico • Uniquity Road • Unity Village • Whittlin' • and more!